The Met at 435 shopping center in Overland Park near Kansas City is the home of this vertical wind tunnel. 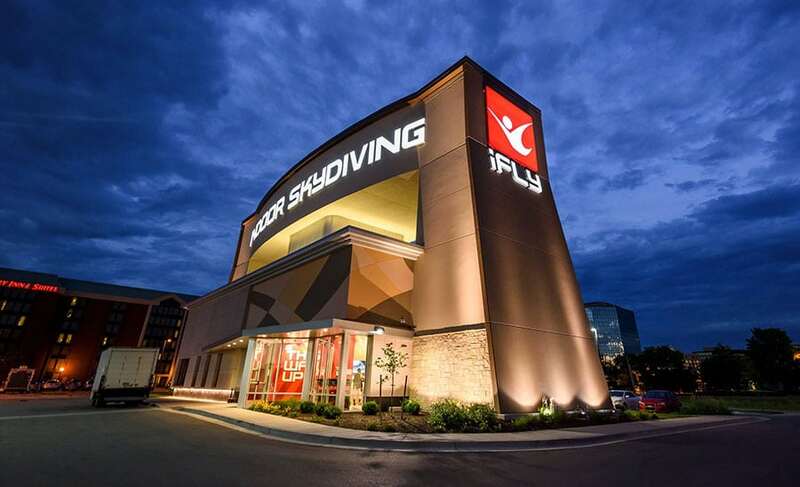 On January 24th, 2016 iFLY Kansas City opened their doors to the public. 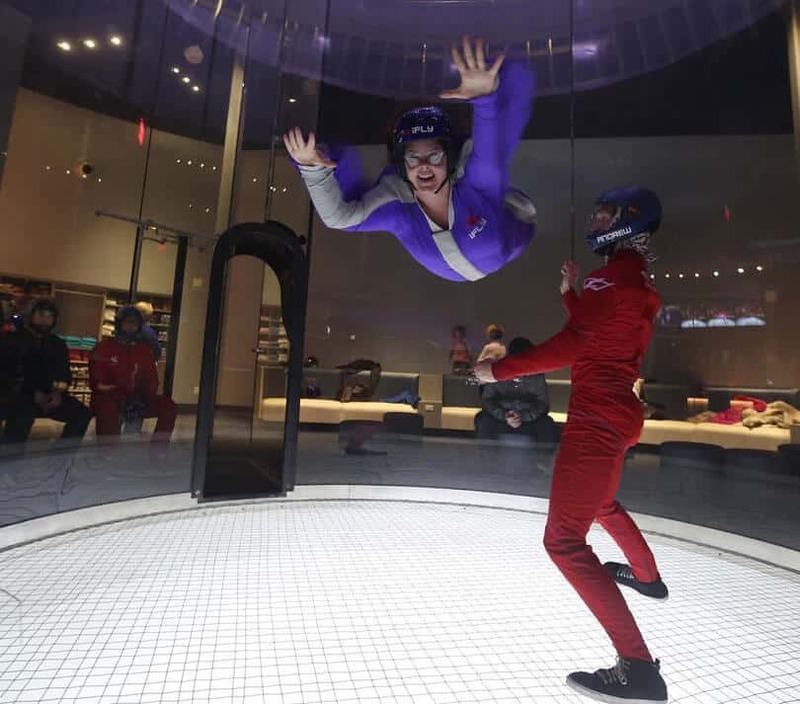 Indoor skydiving is now available to the Kansas City area. Average rating of 5 from 14 review(s). Had a great experience. Went with friends and family. Would do it again!! Everyone is so helpful. Thank you for such a great time! This place is fabulous. Knowledgeable and experienced they care about your safety as much as your fun. Highly recommended for all ages. I first booked a flight for my husband and then later we both went back. This is great fun for all ages. Took my 20 yr old to his first diving experience will definitely go again. My son has autism ,when we arrived I seen mostly all younger staff and was a little concerned due to patience from a lot of todays younger generation. I was very surprised how wonderful they were and patient with my son as well as many others. They did anything to help and make a great experience. That you can not put a price on !!!! My brother gave us a present this year, Flight lessons! Our instructor was fantastic, I think his name was Brandon, a former wrestler from Southeast Polk. He made it an experience of a lifetime. My family loved it and we will definitely be coming back and bringing friends! IFly was such a blast.... even for the "Over 60" club!! The instructor was great with everyone in our group. A wonderful activity that everyone can enjoy!! I took my first flight at iFLY Kansas City right after the facility opened. It only took the introductory flight to convince me that this was a sport that I wanted to continue to pursue. Now, with over 4 hours in the tunnel, I am getting pretty decent at this indoor skydiving thing, thanks to my outstanding instructor/coach Caleb Foley and all the fabulous staff here. This is a sport everyone should try at least once and I guarantee you will leave the tunnel with a huge smile on your face! My sons first flight with Paul was incredible! Nickname: Flying with a smile! My sons first flight with instructor Paul was incredible! My son loved every minute of his flights and I felt perfectly confident that my son was safe! We signed him up for classes! I flew yesterday for my birthday. Jeremy helped me and it was great fun. I am so ready to go again! Wow from the minute you check in you are created w/a fantastic smile & friendly manner. We asked to take a look inside to check it out & he said "sure go ahead." We were hooked checked in with on-line monitor & super easy. Facility is very clean & decor is also cool! Raleigh was the instructor & did a fabulous job of explaining in detail hand signals & exactly what we needed to know. Would definitely recommend it! Without a doubt, that was one of the most exhilarating experiences I've ever done. The entire process, from checking in, to being instructed on procedures once inside the tunnel, gearing up, and then finally going into the tunnel itself was painless and and easy. The receiving staff were very polite and helpful, and then our Instructor, Diego was extremely friendly and helpful in giving us pointers once we were inside flying. His cheerfulness and humor kept our group from being too nervous about going in, and once we had all gone, there was nothing but smiles across everyone's faces. For those who are on the fence about doing this, don't be afraid! The Instructors all have vast amounts of experience (as they will demonstrate at the end doing an impressive demo by themselves) and will ensure you have a fun but most importantly safe time. Props to the staff there! Keep up the good work gents! I went to iFly for the first time last week and it was by far one of the craziest things I've done in a long time. It was so cool to feel what it would be like to actually sky dive. Austin Crandall was our instructor and he did a fantastic job. He made it so much fun for not just the adults, but the kids too. I will definitely be going back. 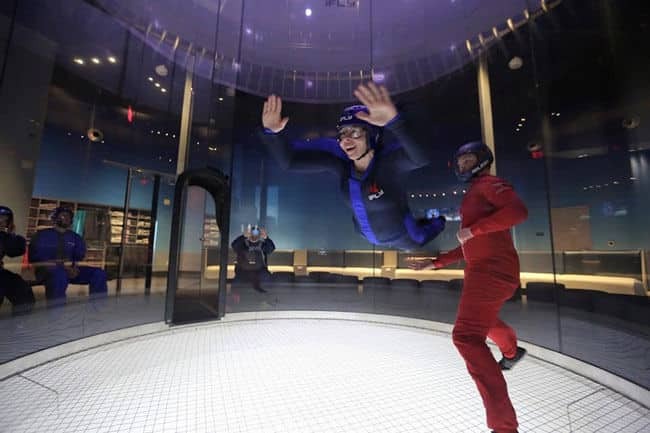 This location wasn't open yet but I have tried iFly at another location and can tell you it is a once in a lifetime experience. Something you shouldn't pass up! Very low risk of danger and I've seen kids as young as 6 doing it as well. Wife was scared before trying it but afterwards she said that it was a blast and nothing to be scared about. I will defiantly be trying it again when this location opens!!! !